It’s been a lively ride for London 4 piece ISLAND who announced themselves with debut EP ‘Girl’ at the back end of 2015 which saw debut single ‘Stargazer’ hit no. 7 of the UK Spotify viral chart. After just a handful of shows, the band headlined 800 capacity Scala last November and more recently took the step up to Heaven, the target venue for the top crop of major label guitar acts launching their debut albums. Don’t be fooled, however. If headlining Heaven was a right of passage the band have certainly put in the required groundwork to hit their stride. 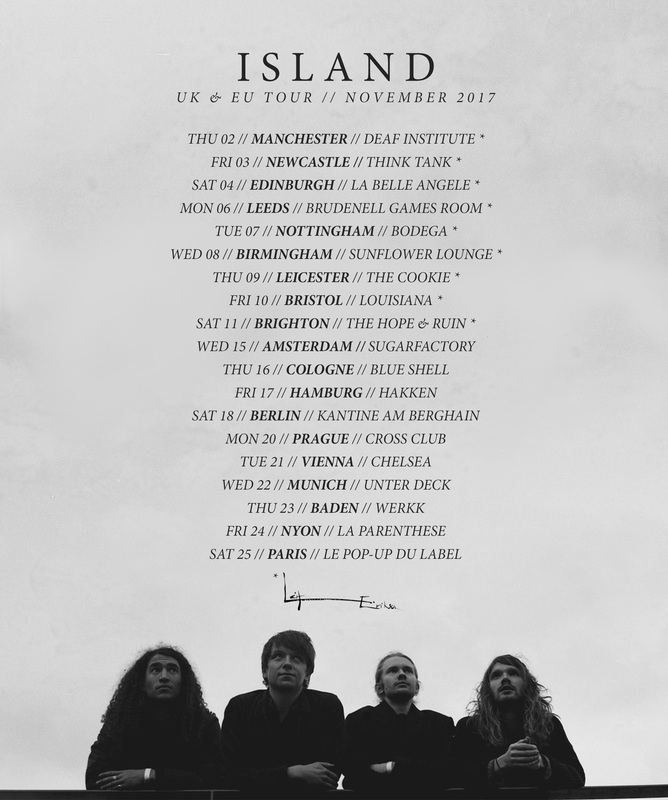 After extensive tours with Amber Run and Palace, the latter of which took them through Europe, ISLAND are as assured being the stars as they are reaching for them. Their cerebral take on pop readies them to take the baton from groups like Foals and Bombay Bicycle Club well evidenced in their Heaven crowd who weren’t shy belting their hook-laden choruses back at them. ISLAND are: Rollo Doherty (vocals, guitar), James Wolfe (bass guitar), Jack Raeder (guitar), and Toby Richards (drums).